What would you do if you were cooped up, staring at the ceiling, with nothing to engage your mind? The portrait of Richard III from the National Portrait Gallery. Grant believes the man to have been a noble judge or soldier. “Someone used to great responsibility, and responsible in his authority. He is shocked to turn over the photo and realize he is looking at a portrait of Richard III, considered one of the most villainous monarchs of all time. The reproduction is from a portrait in the National Portrait Gallery. And it is into history Grant must delve to unravel the truth about Richard III and his alleged murder of his nephews, the two princes in the tower. He begins by reviewing contemporary school books and then moves onto historical accounts. Upon the death of his brother Edward IV (1442 – 1483), Richard Plantagent (1452 – 1485) was to serve as regent until Edward’s son, Edward V, came of age. In 1483, Edward V and his younger brother were in residence at the Tower of London. Convention alleges that Richard III murdered his nephews and usurped the throne. He, in turn, was defeated in battle at Bosworth Field by Henry Tudor (1457 – 1509), who then reigned as Henry VII. Grant, being beridden, is assisted by historical researcher Brent Carradine. Brent eagerly tracks down Richard III’s contemporaries to get an unbiased view of the time. They determine that the sainted Sir Thomas More’s account was largely taken as hearsay from one of Richard’s staunchest enemies, John Morton. True contemporary accounts are scant. More curious is the suppression of a 1484 document, Titulus Regius. This statue issued by Parliament declared Richard as the rightful king. It alludes to a prior marriage that invalidated Edward IV’s marriage to Elizabeth Woodville and thus making his children by her illegitimate. Henry VII ordered this document to be revoked—unread—and for all copies of it destroyed. This in turn legitimized all of Edward IV’s children, including Elizabeth of York, Henry VII’s wife. But “History was someting that he would never understand.” “The values of historians differed so radically from any values with which he was acquainted …” Historians are human and fallable. They are biased and subjective. In her narrative, Tey appears to be making this argument as much as she appears to support the idea that Richard III is not the villian he is commonly perceived. She cites two other historical events, the Boston Massacre of 1770 and Tonypandy Riots of 1910-11 in Wales, as examples of how the historical record differs from the historical legend. The latter of which is often the more well-known and reported version of events. 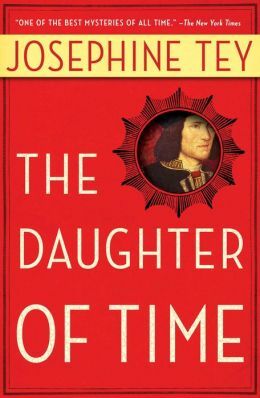 The Daughter of Time—the title’s taken from an old proverb—was published in 1951, a year before Tey’s untimely death. It’s often cited as one of the best detective novels of all time. It is unusual in that it applies mystery novel detection tropes to an actual historical event that cannot be conclusively solved. Yet the journey is a remarkable one. 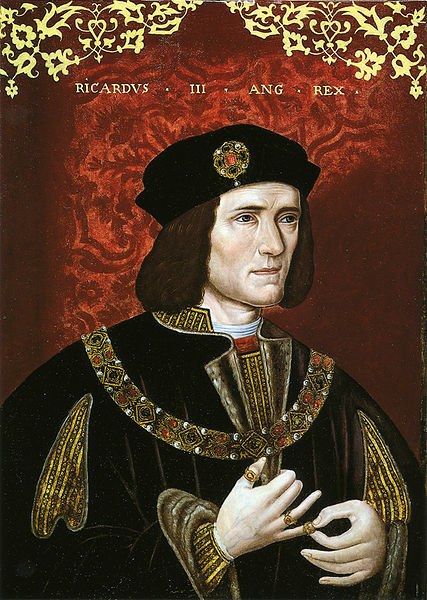 Earlier in 2013, the body of the real Richard III was unearthed following excavations at a site near Leicester, England. DNA confirmed the human remains as Richard and the skull was used to reconstruct what he looked like. See article here.